DONATION: Tim Kuchel, Margaret Laarhoven, Pamela Fraser and Richard Townend with Nursing Unit manager Karen Longworth. THE Coffs Coast Banana Benders Motorhome Club has donated a "new set of wheels”' to Coffs Harbour Health Campus. 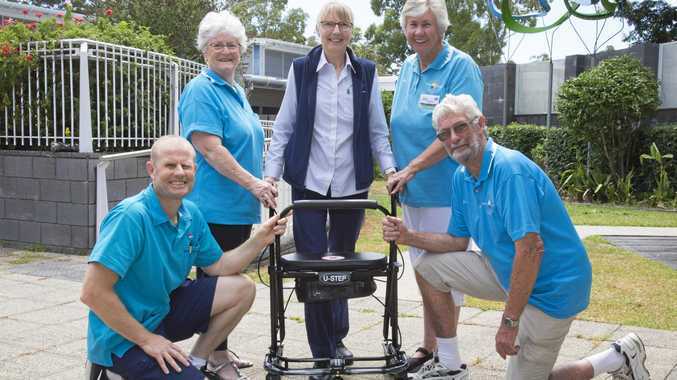 The group of retirees, who love exploring the Mid North Coast and beyond in their motorhomes, have presented the hospital's Stroke/Rehabilitation Unit with one of the most advanced rolling walkers on the market. "We are so very fortunate to have the support of our community as we work with our patients to get them mobile and back home to their loved ones,” Ms Longworth said. "The Banana Benders Motorhome Club really did their research, donating a walker that will help many of our patients get back on their feet. "It is a specialised rolling walker that protects patients from falling and has fully adjustable speed and height to suit any level of rehabilitation. The club's secretary, Margaret Laarhoven, said it had been a pleasure to be in a position to help stroke and rehabilitation patients on the road to recovery. 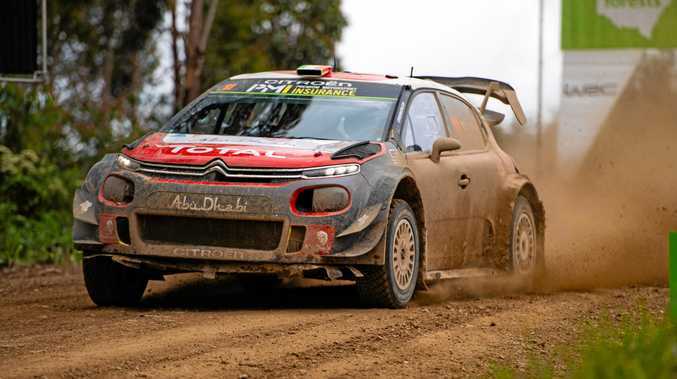 "We are a small club, getting together once a month to explore local destinations throughout the Mid North Coast,” Mrs Laarhoven said. "We decided we wanted to give something back to our community and the Stroke Unit and its patients seemed like a very deserving beneficiary.